Ed tech company D2L today announced an upgrade to its Brightspace learning platform, featuring a new faculty user interface and Brightspace LeaP adaptive learning technology. "To date, adaptive learning has only been used in a few elite schools. Just like early computers, it's been difficult and rigid to operate — namely because it has traditionally been built for large publishers, not learners or instructors," explained CEO John Baker in a press release. 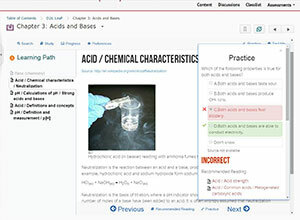 "With this release, D2L is bringing adaptive learning to the mainstream, making it easy to implement and flexible to use. We're going to go from a small group of clients using adaptive learning to the masses, with the aim of achieving better learner performance, higher graduation rates and smarter learners." Brightspace Administration Service, an option to outsource course, user and too management, available on its own or bundled with End User Support, a service to assist learners, instructors and trainers. For more information, visit the Brightspace site.